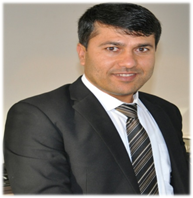 Mr. Muqim Jamshady the CEO and founder of Afghan Logistics & Tours Pvt. Ltd (Afghan Logistics) & Future Bright General Trading L.L.C. (Future Bright). He is a successful businessman and entrepreneur who set up a thriving business at a time when Afghanistan was full of uncertainty and in its darkest stage. These companies operate with market intelligence, determination, passion and commitment to clients, and long-term vision. Afghan Logistics, established in 2002, is expanding to this day and well-known in the region with a solid reputation known to the local and international community. The company prides itself being the first to start a 24 hour mini-cab services with high standards and the first non-government company to offer tourism services in Afghanistan. Today this company is one of the most trusted and successful Afghan companies. Afghan Logistics established itself as 'one-stop shop' in Afghanistan for all logistics, goods, mini cab services, transportation, armored & soft skin vehicle rental, purchase, repair, and parts enquiries, as well as provider of great tour packages to the unique, historical and majestic places in Afghanistan. Today the company employs 44 personnel; this itself is an indication of the successful journey providing services in the beautiful country of Afghanistan. The company provides 24/7 services to many organizations, NGOs, local and international companies operating in Afghanistan and worldwide. In June, 2014 Mr. Muqim Jamshady recognized the market need of having a new global trade company to his portfolio of companies. The headquarters of the new business is in Dubai; with its central business hub globally, Future Bright is conveniently able to source and supply goods and provide commercial logistics strategies to and from any part of the world you may need; your logistics and goods supply solution is only an e-mail or phone call away. We have a successful track record and will provide you quality services with professionalism. We are available 24/7 and it would be our pleasure to be at your service.